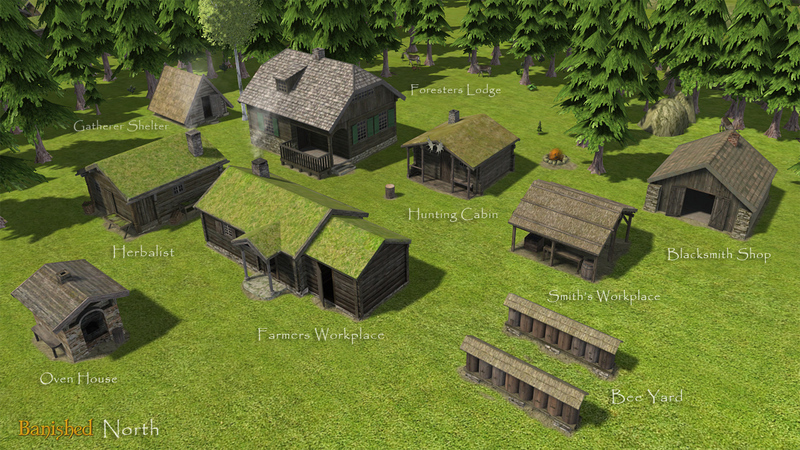 A new adventure for Banished people. It includes a Nordic landscape with realistic climate and sun pitches, typical ambient sounds, wild animals and resources, a whole set of buildings, new production chains, a reworked trading system and many small changes to create a special game experience. It also offers start conditions for different play styles and levels of difficulty from easy to very challenging. The focus is on realism and survival. 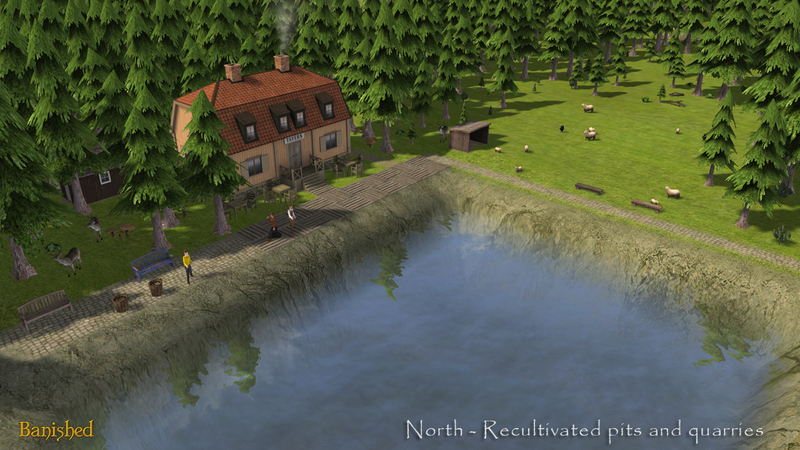 For the current version 6 and information about new buildings, resources and gameplay check banishedventures.com/north. - Nordic school with extension for 24 to 48 students. - Village shop to provide food, fuel, clothes etc. for citizens. - Warehouse to provide raw materials for manufacturing. - Benches and a garden fence for decoration. - New map type "Plain" with typical vast forest areas. - New map type "Lake" (high difficulty). - Snow texture for logs and stones. - Corrected tree locations and some rocks in the rivers for more natural maps. - Increased firewood production (8 instead of 4). - More blueberry bushes in the summer woods. - Rebalanced temperature dependence of crops and fruit trees. - Auto harvested fruit trees in mild and fair climate. - Farmers now bring the harvest itself into barns. - Tornadoes rare and attenuated because not typical in the North. - Fire spreading increased for a real disaster like in many nordic towns in history. 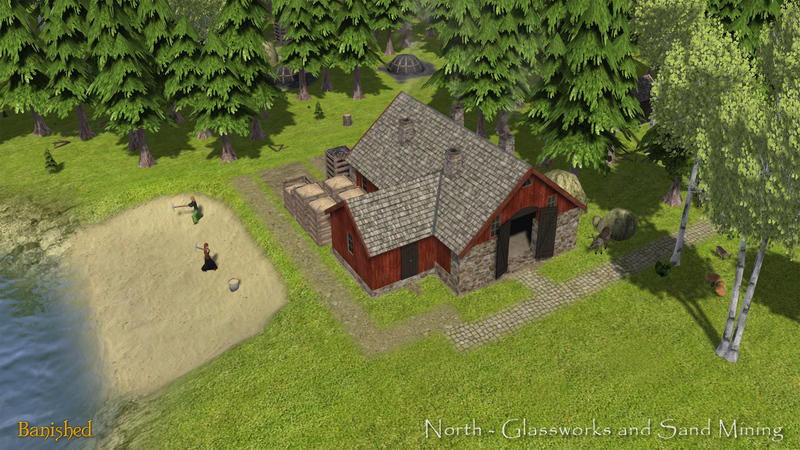 - Minibuildings (BlackLiquid) and TinyTrader (Nomad) adapted to the North. Place these mods below. - Fixed resource limit of the mine. - Fixed icons in the town hall statistics. - Market and trading post now store iron and coal.